TCM Civil Pty Ltd is a private company which was formed in 2007. TCM is highly successful and continues to improve by delivering quality service on time and with expert skill. TCM and it personnel have been integral to the successful delivery of many major projects for NSW Governmnet Departments, Hunter Water Corporation and Sydney Water Corporation as well as many local government and private sector organisations. We specialise in construction of underground utilities. Our team has a solid track record of generating innovative solutions in complex infrastructure project environments whilst maintaining a proactive culture for safety and the environment. TCM Civil are able to work independently or as part of team. We are able to work under pressure to successfully deliver projects with short delivery time frames. TCM has the capacity to scale up or down to meet our clients requirements. 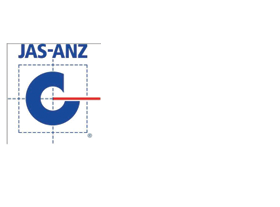 TCM Civil Pty Ltd has in place a fully documented and implemented Integrated Management System incorporating: Quality Assurance “elements” compliant with AS/NZS 4801:2001 and OHS&R “elements” compliant with the 5th Edition of NSW Government Capital Works Investment OHS&R Management System Guidelines. 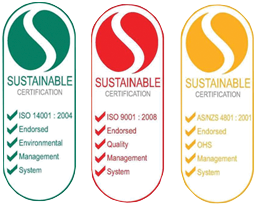 TCM Civil's Quality System was audited to the elements of ISO 9001:2000 in April 2008 and was deemed compliant by Australian Quality Assurance and Superintendence Pty Ltd (AQUAS). TCM has since achieved ISO 9001:2015 in November 2016. Need construction of a Pipeline, Conduit, Excavation, Concrete Structure or Pump Station? Tell us about your job and we will send you a Job Quote.